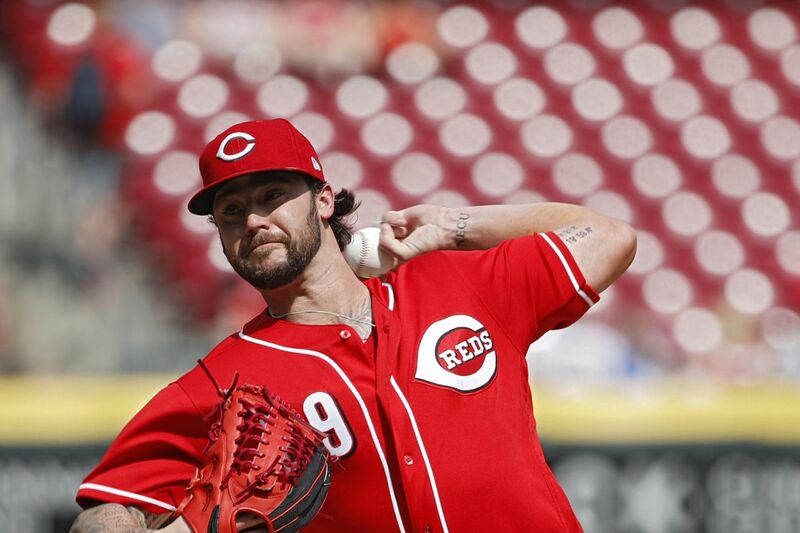 One thing we do know concretely about former Cincinnati Reds pitcher Brandon Finnegan is that he cleared waivers yesterday, meaning nary a franchise out there thought he was worth picking up at the cost of a roster spot. That means that while he’s still ‘former Cincinnati Reds pitcher Brandon Finnegan,’ he’s still going to stick around the organization sans roster spot, which - if he can miraculously rekindle his previous form - means there’s still a chance he could be ‘future Cincinnati Reds pitcher Brandon Finnegan’ at some juncture. A quick click on the AAA Louisville Bats roster shows his name there, but no number, and that’s by design - he’s not expected to start the 2019 season with the Bats, as MLB.com’s Mark Sheldon relayed. Whether it’s with AA Chattanooga, A+ Daytona, or back in Arizona doing work in instructional play, it appears the Reds are going to do everything they can to unplug and plug back in the once electric left arm of Finnegan, or at least give it one last heave-ho. If you look back through the history of pitchers, pitcher injuries, and dudes falling completely off the boat wagon, there are a handful of success stories of guys who lost it, went all the way back to the depths of the minors, and emerged with some semblance of success after the fact. Edinson Volquez went through that with the Texas Rangers way back in the day, and their frustrations with him were part of how he ended up with the Reds in the first place. Hopefully, a pressure-free environment and a bit of a reality check will help do that with Finnegan, assuming he’s healthy and pain free, and at least if any team will get the chance to see if that works, the Reds will get first crack. In other recently-DFA’d Reds news, Matt Wisler is officially out of the organization, claimed by the San Diego Padres and eventually dealt for young hurler Diomar Lopez, as MLB Trade Rumors relayed earlier this week. Wisler, of course, was out of options, and lost the race for the last spot in the bullpen to Robert Stephenson (who was also out of options). The former Atlanta Braves hurler will now get to ply his trade in a bunch of big parks out west, which might well turn into something. In Lopez, the Reds get a 22 year old Nicaraguan who pitched at three levels of A-ball last year exclusively as a reliever, and while he struggled in the runs scored department (5.18 ERA), he posted an excellent 11.4 K/9 against just a 2.8 BB/9 in 41.2 IP. This time last year, FanGraphs’ Eric Longenhagen listed Lopez at #38 on his top Padres prospects list, noting that he could touch 97 mph and ‘his control needs to improve significantly,’ something that his 2018 stats suggest might well have happened since that report. One can hope. In other news, it appears that Nick Senzel’s ankle is improving quite well, as Doug Gray noticed in an on-air interview from Dr. Stick Pokey. That’s obviously a wonderful piece of news in a vacuum, but given the relative struggles of the Cincinnati outfield since he was reassigned to the minors, that’s even more welcome news. Finally, FanGraphs sleuthed the 2019 MLB Draft Bonus Pool amounts, and the Reds check in with the 13th highest amount on the board. Of course, that factors in not just where teams finished last year (and where their highest pick is), but also the comp rounds that most of the small market/low revenue teams receive for being so tiny. You’ll remember the Reds shipped one of those away in their winter deal that brought Sonny Gray in from the Yankees, and along with it they lost the slot-value for that pick for their overall draft budget, hence why it isn’t a tad bit higher than that. Nick Senzel set to make his 2019 debut tonight The next chapter in The Legend of Senzelda begins this evening. But when is he coming to Senzennati?